On Wednesday Dec. 12 at approximately 7:30 a.m., officers from the Arcata Police Department were dispatched to a reported single vehicle collision in the 5900 Blk of Ericson Way in Arcata. 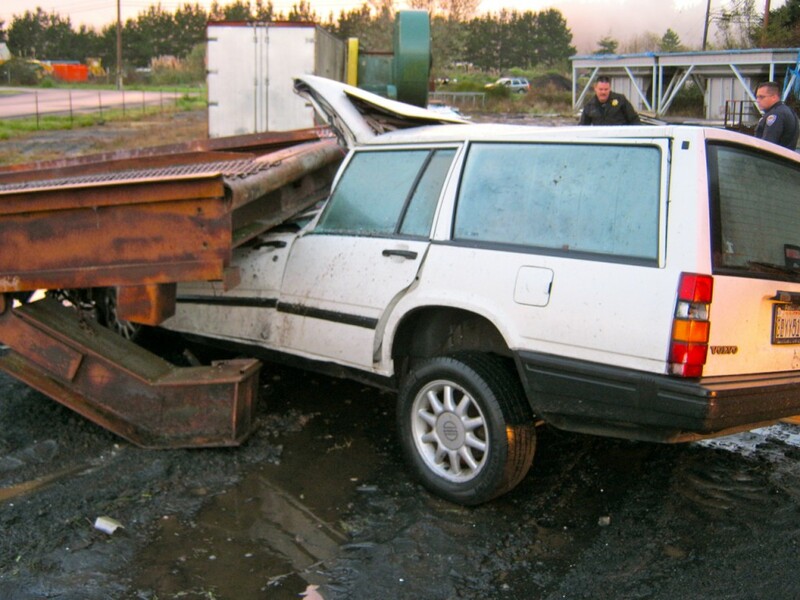 Upon the officers arrival they discovered a white Volvo wagon had collided with a segment of a temporary bridge that was being stored in a fenced equipment yard. The vehicle had been traveling northbound on Ericson Way when the driver left the roadway for unknown reasons. The vehicle traveled off the east side of Ericson Way, through the fence and collided with the large steel bridge segment, killing the driver and sole occupant. It appeared the collision had occurred several hours prior to being discovered. 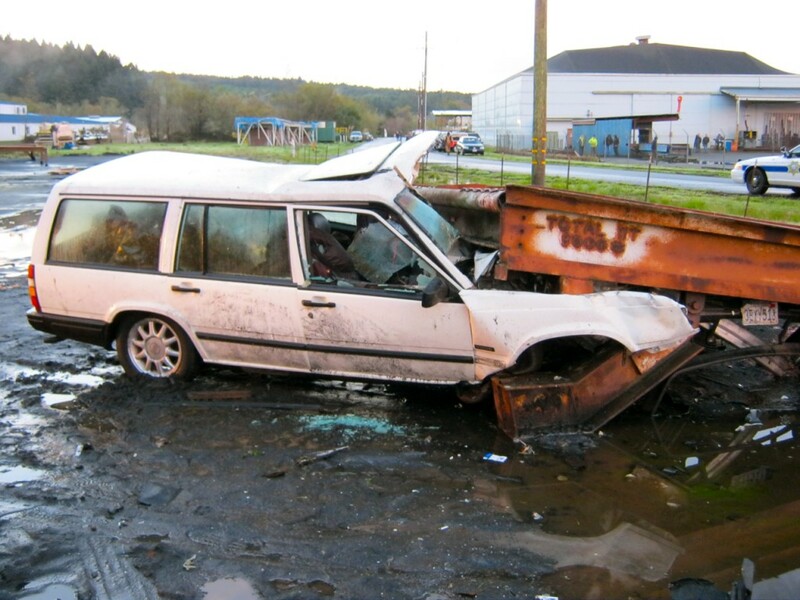 Personnel from the Arcata Fire Protection District responded and extracted the victim from the badly damaged vehicle. Update: The Humboldt County Coroner’s Office today identified the victim as Kenneth Julio Moilanen. An external examination is to take place Friday, after which a cause of death may be available. This entry was posted on Wednesday, December 12th, 2012 at 3:32 pm	and is filed under News. You can follow any responses to this entry through the RSS 2.0 feed.